Gemini The Twins, © Anne Nordhaus-Bike. 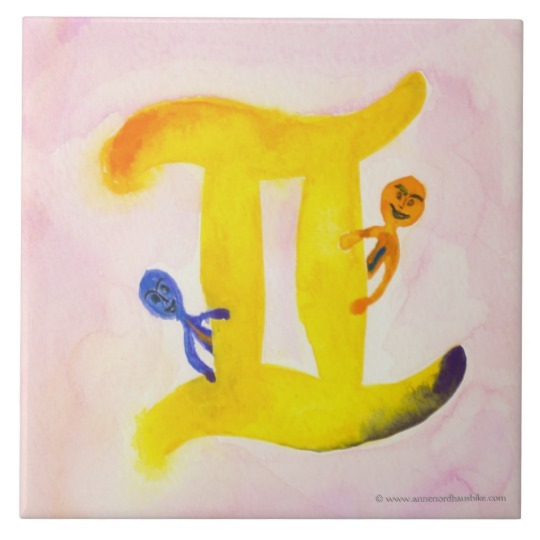 This playful painting captures Gemini’s symbol, the Twins, in this sign’s trademark yellow and other bright colors. 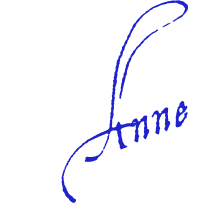 It was created with on premium cold-pressed watercolor paper. 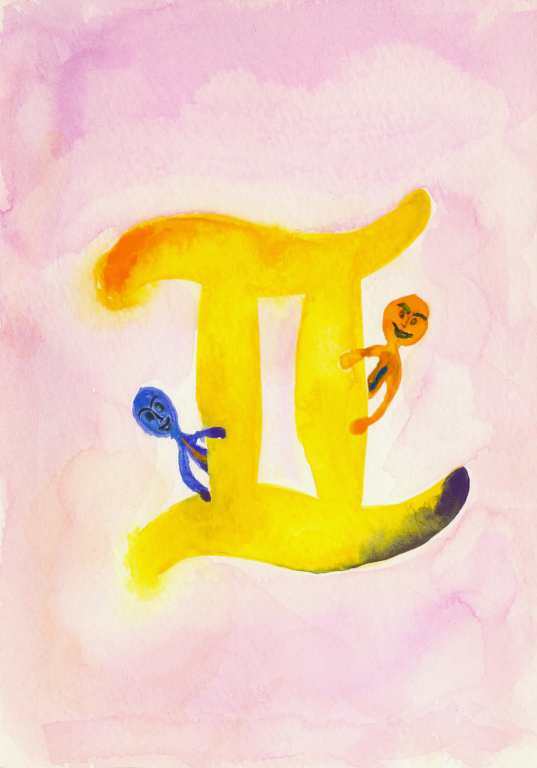 This Gemini The Twins symbol is one of 12 watercolor paintings made for the astrology book Follow the Sun: A Simple Way to Use Astrology for Living in Harmony. 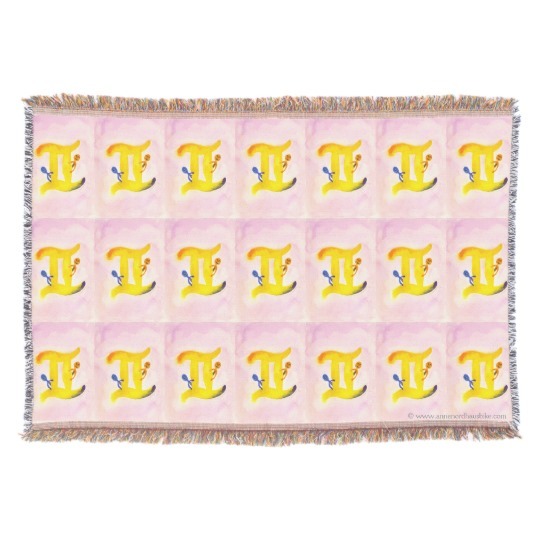 It shows the twins, peeking out from behind a big yellow Gemini glyph or written symbol that looks like the Roman numeral two. The twins play in this painting against a pink background, their bright colors hinting at Gemini’s love of stimulation and excitement. 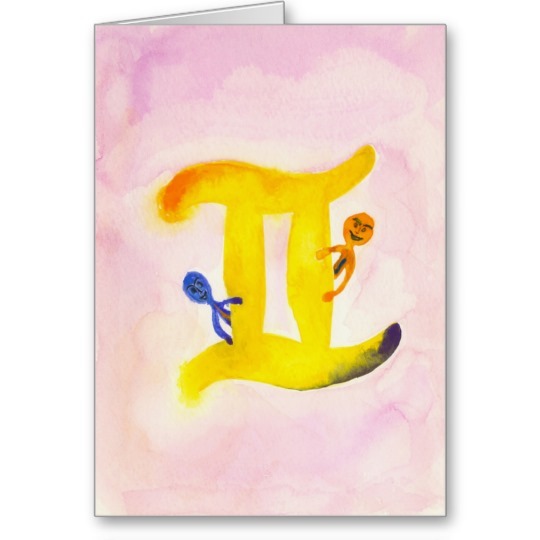 The twins carry this sign’s deep curiosity along with its charming versatility, and you’ll find this design helps inspire you to keep curiosity alive in your life, too! 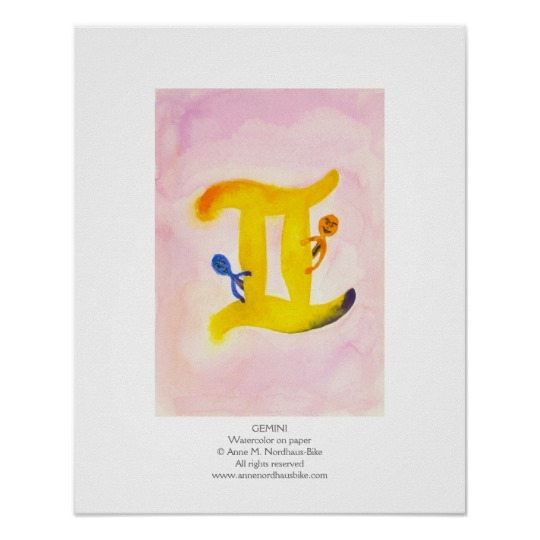 This Gemini The Twins image is available as beautiful gifts in our online art store. 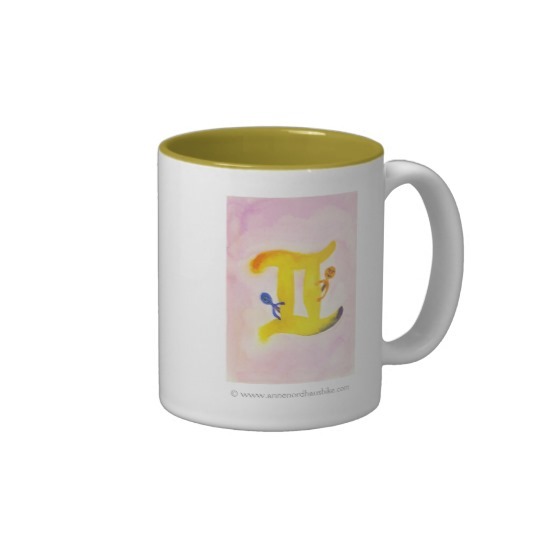 Click any of the images or the yellow buttons here to see all the lovely gifts we offer based on the Gemini The Twins painting. 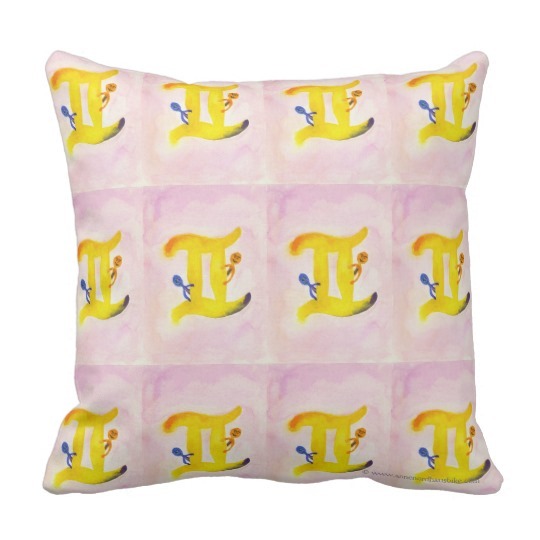 And keep in mind: you can make these gifts your own, because all our gifts can be customized!